When Google first introduced Google+ pages for businesses several months back, we created pages for some of our clients, understanding that Google would most likely be incorporating those pages into search engine result pages at some point. As time progressed we are starting to see signs of where Google is headed with their newborn social network. In early January Google announced Search Plus Your World. Think of it as your own personal internet. A basic search for “Miami” in Google will yield pages from hotels, a tourism board, tour companies, and all the other companies that have effectively optimized their site. Now with Google’s Search Plus Your World, you may find posts your Google+ friends have made that include the word Miami, private images your friends have shared about Miami, and more. 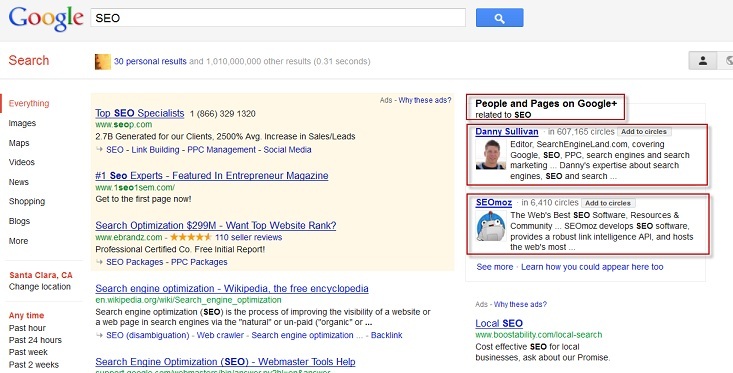 Your search results page is now different then what the general public will see. The below screenshot shows a “Search Plus Your World” search I performed for “surfing” (a lot of my friends happen to talk about that subject). 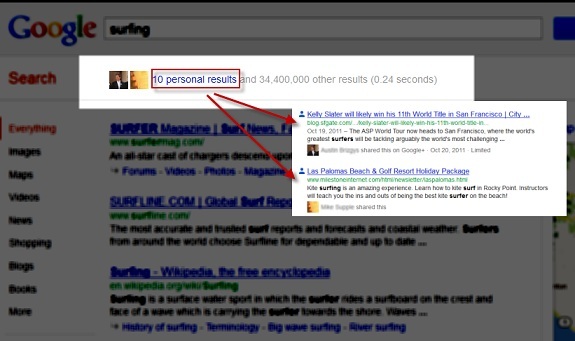 Instead of the highly trafficked sites like surfermag.com and surfline.com showing up in my search results, I now see blog posts about surfing that my friends have shared. How can this be important to your brand? Increasing the amount of people in your Google+ circles and sharing great information about your destination like events, attractions, and things to do, can help direct traffic back to your site instead of competitors or OTAs who normally have a much stronger presence in the search result pages. Early in 2012 we started seeing Google+ profiles and pages being recommended to us by Google based on search terms we punched in. In the screenshot below you will see we searched for “SEO” and Google recommended we follow the profile of Danny Sullivan and SEOmoz. Even more notable is the fact that Google places these recommended accounts at the same top-of-the-page location as paid ads that companies are probably paying top dollar for. You could argue that you could save a significant amount of your PPC budget by having a strong Google+ page. Optimizing your Goolge+ page with keywords that describe your brand, location, and industry can really help you show up as a recommended page to follow in Google search results. Google even provides a link instructing users on how they can have their Google+ profiles and pages appear as relevant suggestions. 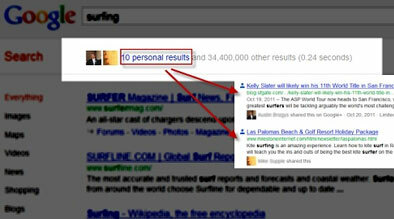 Only time will tell how Google+ profiles and pages will continue to be included in search results for web users.